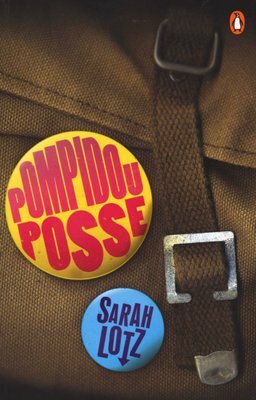 It's the late eighties and British teenagers Vicki and Sage go on the run in Paris after burning down their art school pottery shed. Penniless, homeless, and worst of all, out of cigarettes, it isn't long before they find themselves living on the streets. 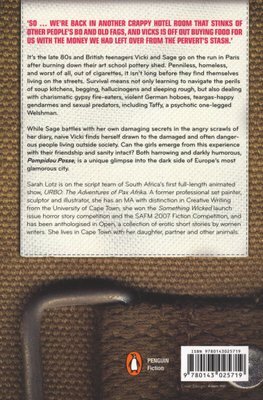 Survival means not only learning to navigate the perils of soup-kitchens, begging, hallucinogens and sleeping rough, but also dealing with charismatic gypsy fire-eaters, violent German hoboes, teargas-happy gendarmes and sexual predators, including Taffy, a psychotic one-legged Welshman. While Sage battles with her own damaging secrets in the angry scrawls of her diary, naive Vicki finds herself drawn to the damaged and often dangerous people living outside society. Can the girls emerge from this experience with their friendship and sanity intact? Both harrowing and darkly humorous, Pompidou Posse is a unique glimpse into the dark side of Europe's most glamorous city.